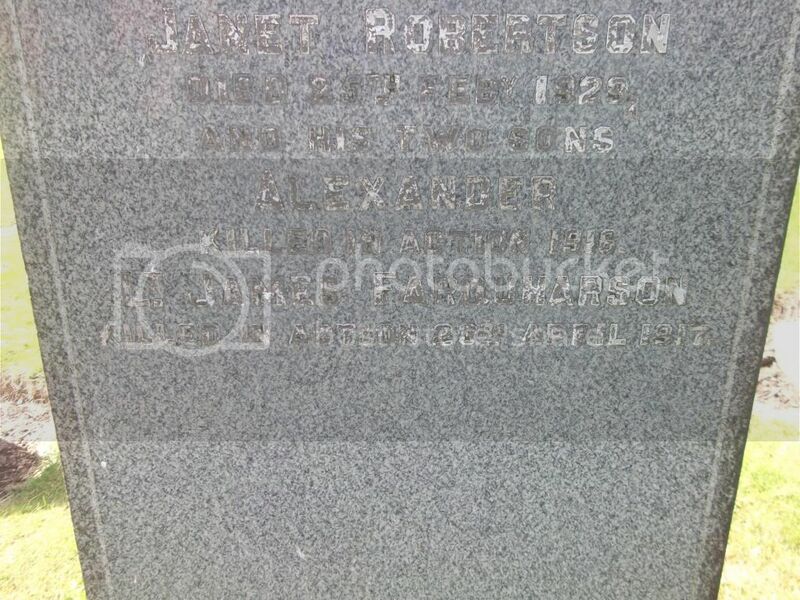 Additional Information: Son Of Robert Bayne, Of St. Andrews; Husband Of Annie Aitken Bayne Of 82 North Street St. Andrews. 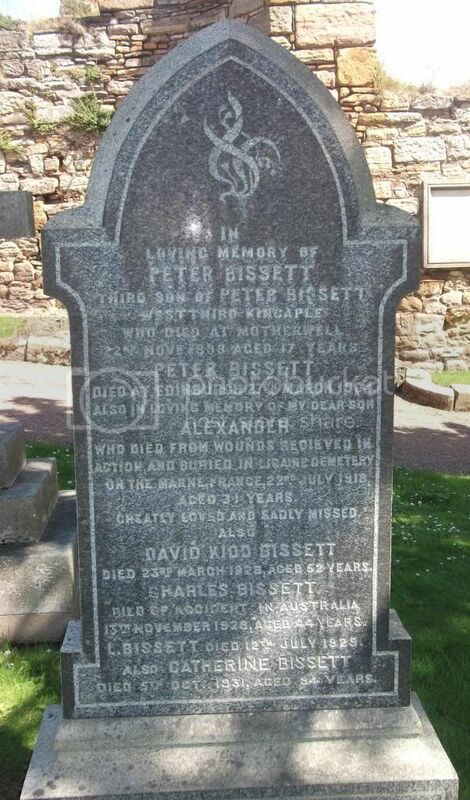 Additional Information:Son of Peter and Catherine Bissett, of 20 Marygate, Pittenweem, Fife. Born at Cairnie, Cupar, Fife. Cemetery/Memorial: Panel 99. Tower Hill Memorial. UK. Also commemorated on the above headstone in St. Andrews Eastern Cemetery. 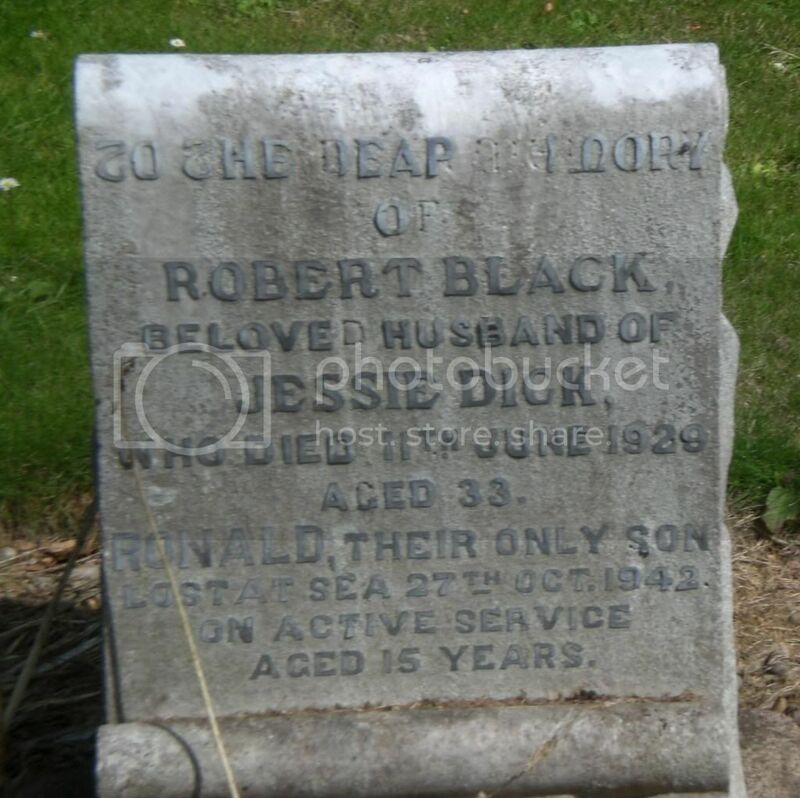 Additional Information: Son of Robert Black, and of Jessie Brodie Black, of St. Andrews, Fife. 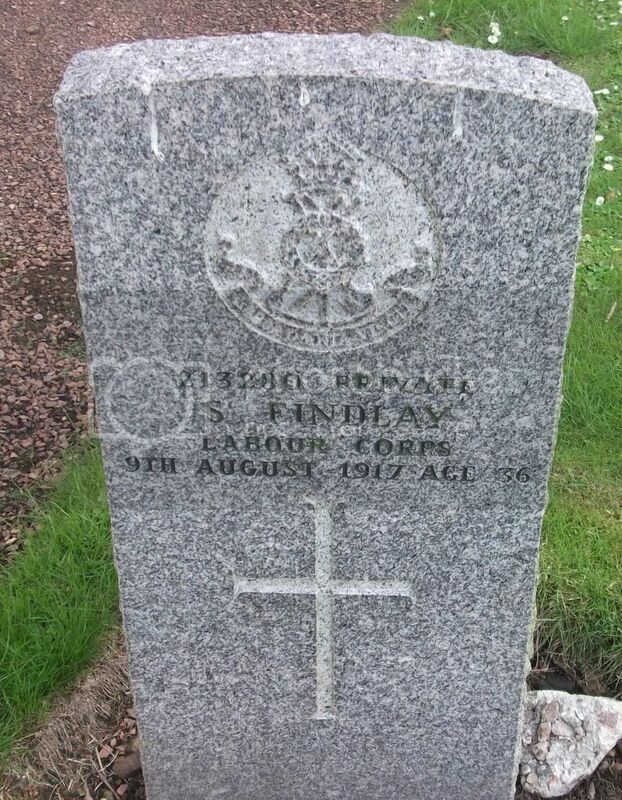 Also commemorated on the above headstone in St. Andrews, Fife. 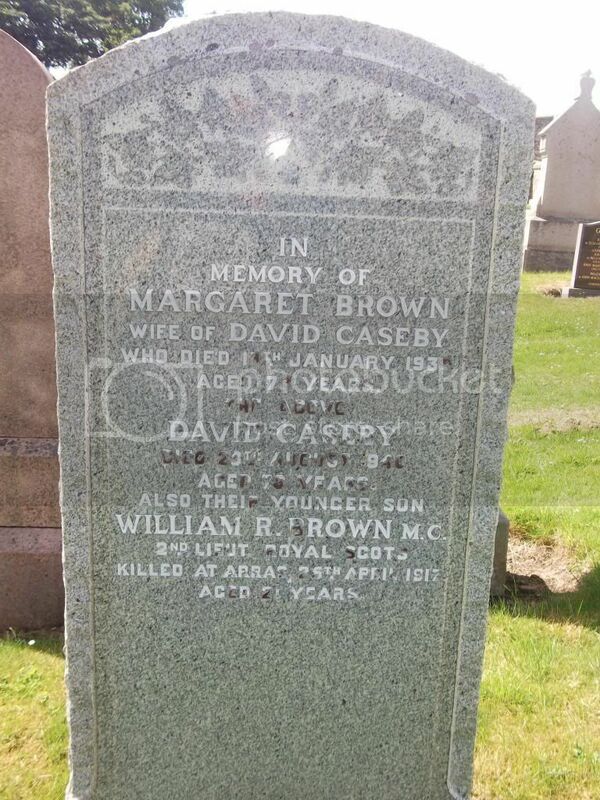 Additional Information: Son of David and Margaret Caseby of 30 Argyle Street. St. Andrews, Fife. Also served at Gallipoli. Regiment/Service: 11th Bn. Argyll & Sutherland Highlanders. Cemetery/Memorial: Panel 125 to 127 of the Loos Memorial. Also commemorated on the above headstaone in St. Andrews Eastern Cemetery. 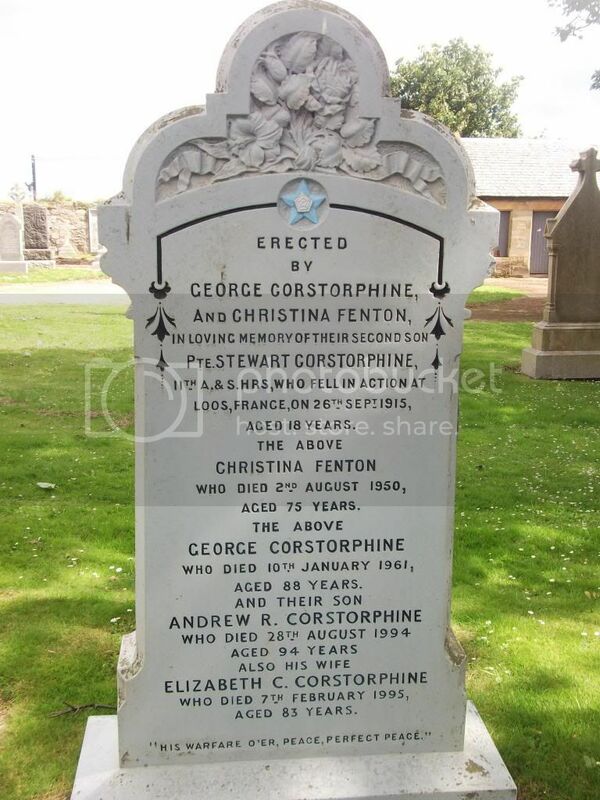 Additional Information: Son of Mr. Geo and Mrs C. Corstorphine of 42 South Street St. Andrews, Fife. Cemetery/Memorial: IV. E. 2 of the Fins New British Cemetery, Sorel-Le-Grand, France. 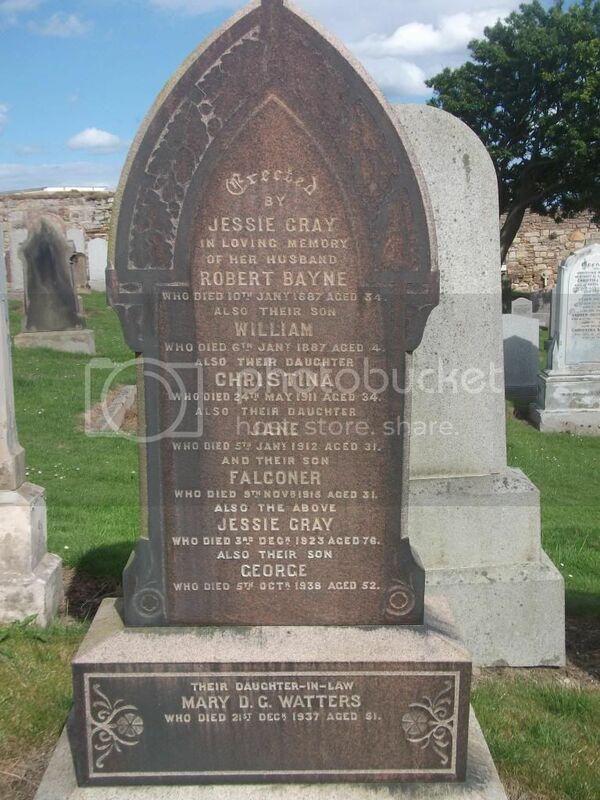 Also commemorated on the above headstone in St. Andrews Eastern Cemetery. 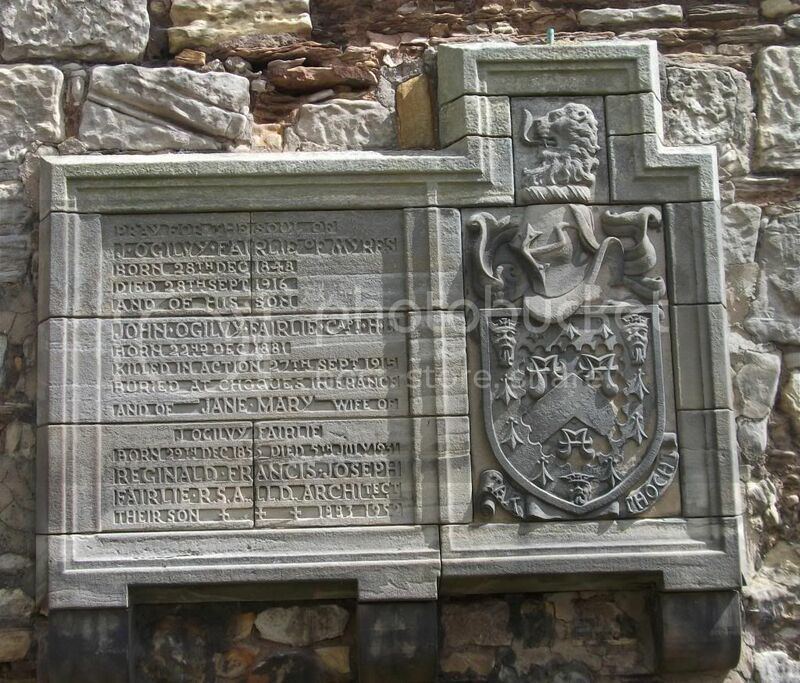 Additional Information: Son of James Crowe of St. Andrews Fife. 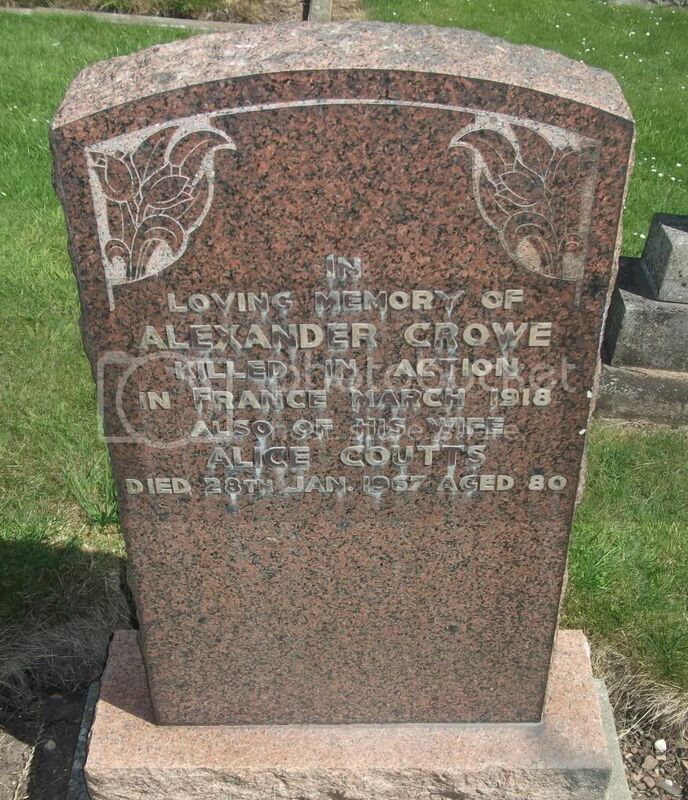 Husband of Alice Crowe of 6 Market Street St. Andrews. Regiment/Service: 107 Sqdn. Royal Air Force Volunteer Reserve. Cemetery/Memorial: 3. 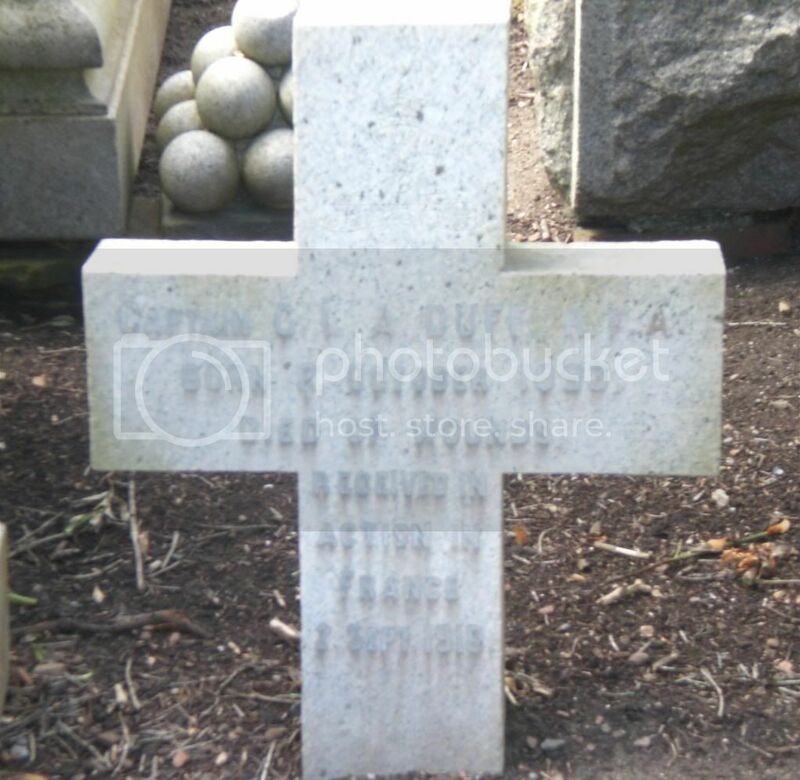 G. 6. of the Kiel War Cemetery, Germany. 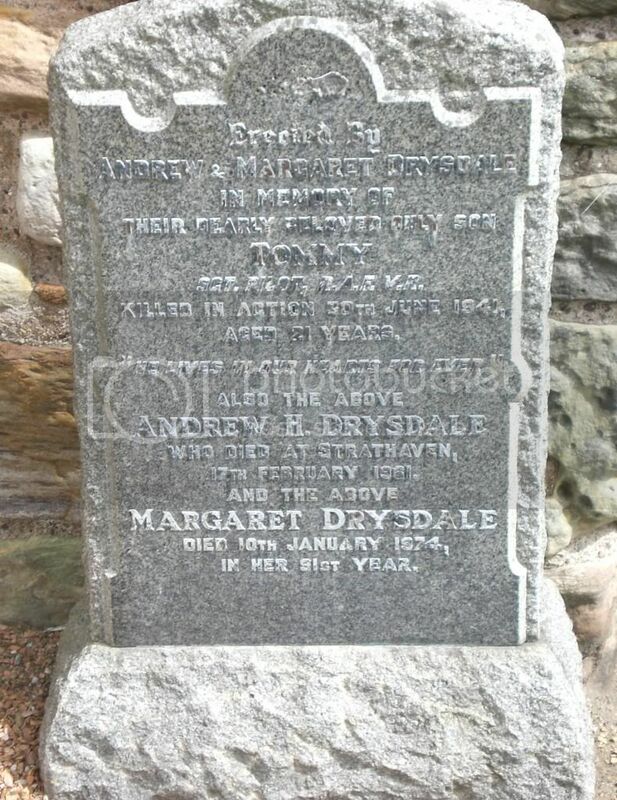 Additional Information: Son of Andrew H. and Mrs Margaret L. Drysdale of St. Andrews, Fife. Cemetery/Memorial: I. B. 32 of the CHOCQUES MILITARY CEMETERY. France. Also commemorated on the above headstone in St. Andrews Eastern Cemetery. 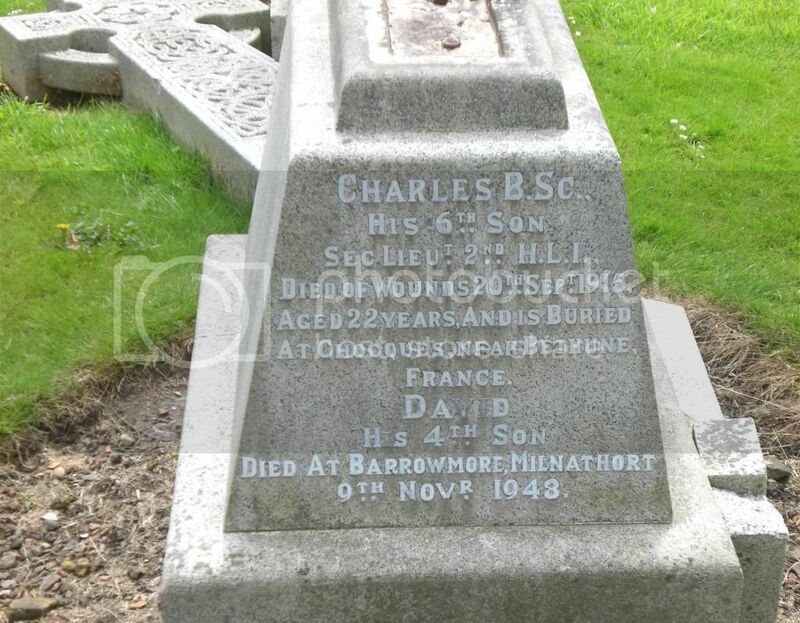 Additional Information: Son of J. Ogilvy Fairlie of Myres, Auchtermuchty, Fife. Regiment/Service: 903 Field Security Sec. Intelligence Corps. Cemetery/Memorial: 3A. M. 13 of the Hamburg Cemetery, Germany. 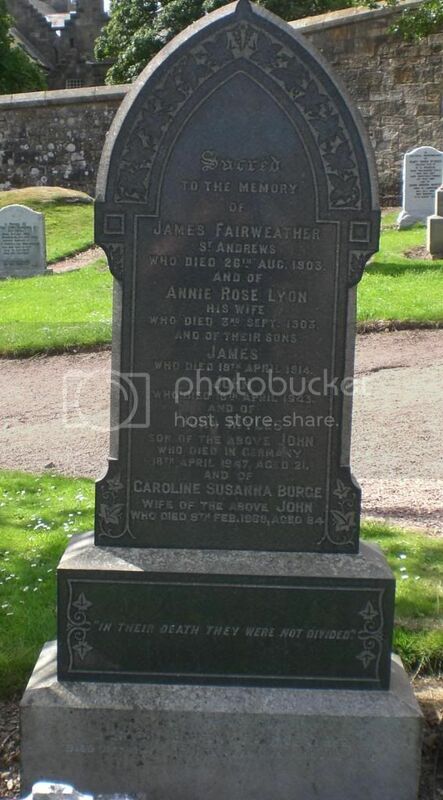 Additional Information: Son of John Fairweather and of Caroline S. Fairweather (nee Burge) of St. Andrews, Fife. Cemetery/Memorial: 15A and 16C of Thiepval Memorial Pier and Face. 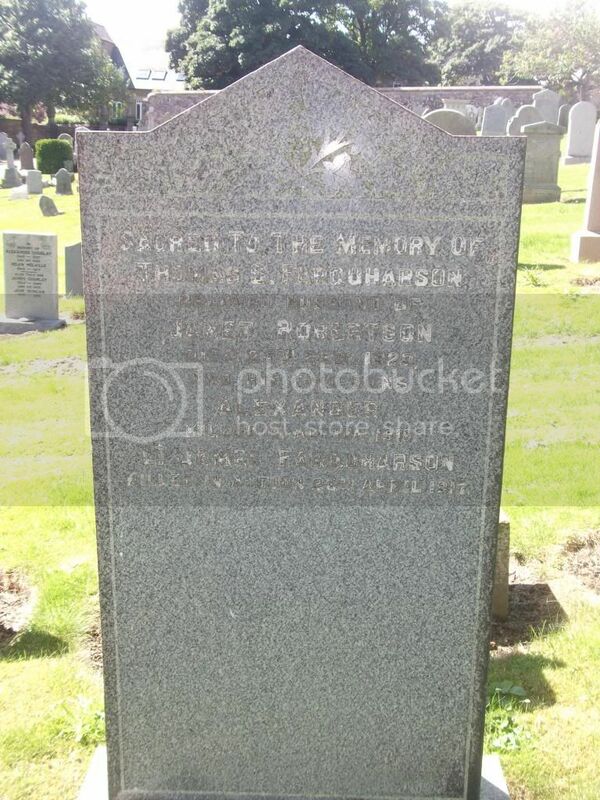 Additional Information: Sons of Thomas and Janet Farquharson. 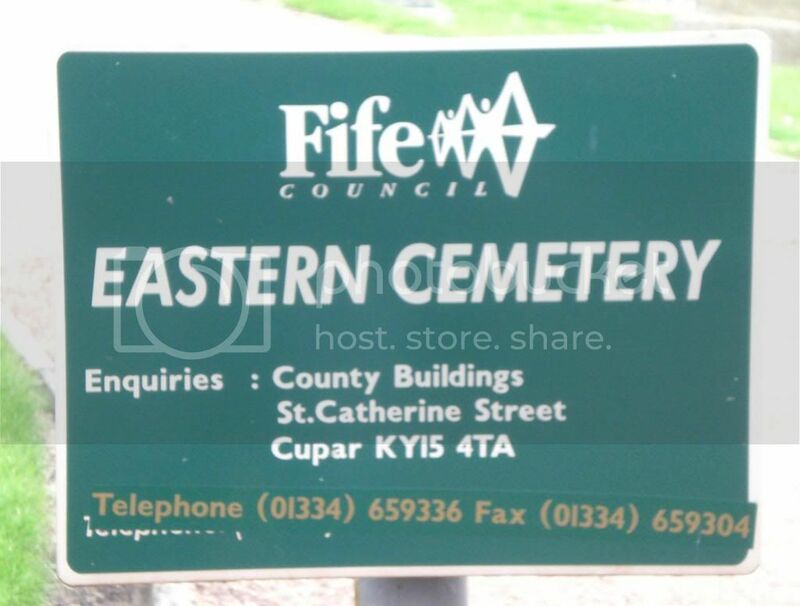 Additional Information: Son Of Peter And Ann Findlay Of Lochee; Husband Of Jeanie Findlay Of 25 Coupar St. Lochee, Dundee. Cemetery/Memorial: I. B. 27 of the CHOCQUES MILITARY CEMETERY. France. Also commemorated on the above headstone in St. Andrews Eastern Cemetery. 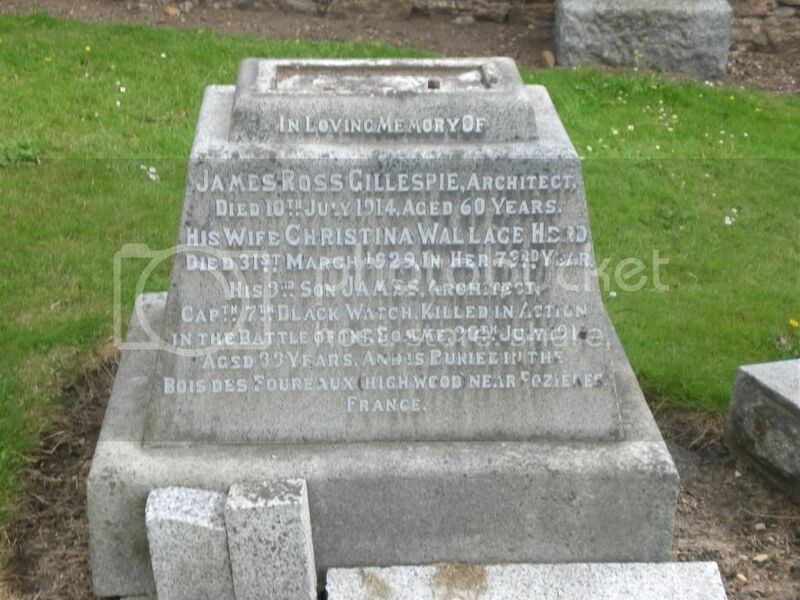 Additional Information: Son of Mrs. Christina Wallace Hird Gillespie and the late James Ross Gillespie of St. Andrews. His brother, Capt. James Gillespie also died on service. Cemetery/Memorial: V. G. 8. of the Serre Road Cemetery No. 2, France. 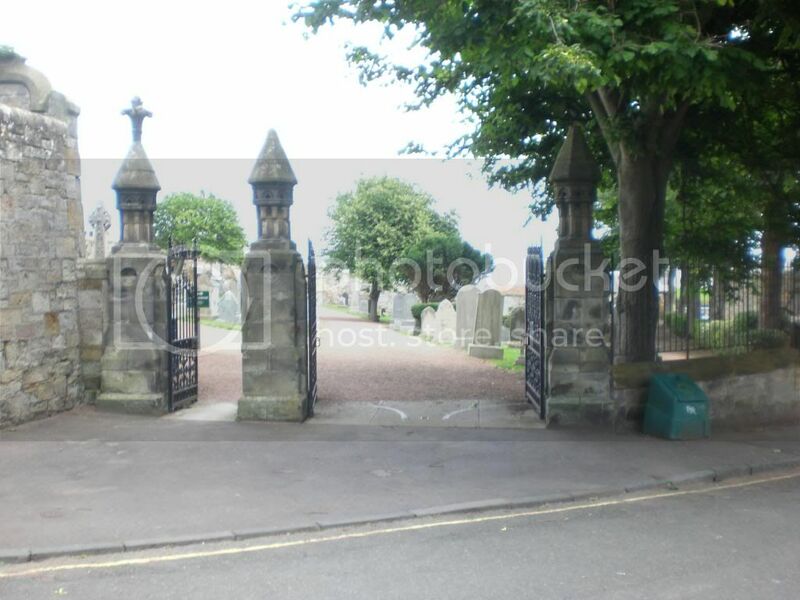 Additional Information: Son of Mrs. Christina Wallace Hird Gillespie and the late James Ross Gillespie of St. Andrews; Husband of Katherine B. Gillespie of 86 Victoria Terrace, Dunfermline. His brother, Lieut. Charles Gillespie, also died on service.